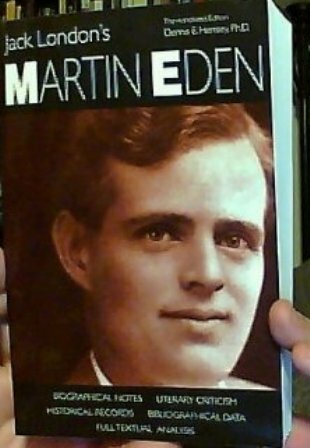 As I continue to write about editors and editing, I came across some very interesting insights in Jack London‘s masterful work, Martin Eden. Written as a thinly veiled autobiography, the story follows a low-class man and his desire for self-improvement in order to impress a high-class woman with whom he has fallen in love. He reads voraciously; learns language, grammar, and syntax; and teaches himself manners, politics, and philosophy. Eventually, he decides to become a writer–after all, he has many stories to tell from his travels around the world as a sailor. He knows he’s a writer. He can feel it in his bones. He knows he has stories to tell, and he knows his stories are better than anything he’s reading in the magazines. Ever felt that way as a writer? Ever felt like the editors either don’t exist or are simply cogs in machines that send out nothing but rejections? As an editor, I do have to take a bit of offense that Martin sees me as “unfit.” But as a writer, yes, I have at times wondered if anyone with any taste receives–and rejects–my queries, my articles, my blood-and-guts pieces of creative nonfiction. I’m sure many writers feel the same. But let me put in a little bit of a plug on behalf of myself and my editor friends. We truly do want the very best writing. But, you need to understand how subjective that is. It’s a gut reaction to a piece of writing. And if you get rejected one place and you really believe in your piece, keep trying. Everything needs to be edited–everything. Trust us. We will work with you to make your writing the best it can be. Editors are human, and each one of us is different. No two editors will edit a piece the same way. Take the advice, but also understand that we are in a conversation with you when we edit. And generally we aren’t failed writers who defaulted to editing. Many of us write on the side (and get the same treatment from fellow editors). There’s no club. Our work has to stand on its own, just as with everyone else. Many of us have no desire to write at all–editing is our calling and we’re committed to that. Rejection doesn’t mean failure. A piece can be rejected for any number of reasons. It may be that your writing isn’t good–but if you’re in a critique group and you’re taking advice, that probably isn’t the case. It could be things you have no way of knowing–maybe a story like yours has already been accepted and now yours isn’t needed. It could be that gut thing I wrote of above. We really do care about the submission guidelines, the formatting advice we give you, etc. Read these guidelines and follow them. Because we receive hundreds of manuscripts, if it’s apparent you can’t follow the simplest guidelines, then we won’t take the time to read what you sent. Eventually, Martin Eden does find the success he so long sought, but it comes at a price. He discovers the down side of fame and some of the hypocrisy in publishing, which begins his undoing. Bottom line, Martin Eden teaches us that it takes persistence, faith in yourself, and hard hard hard work to be a writer. Nothing’s perfect, but work with us. Your great writing will find its home. Quotations taken from Jack London’s Martin Eden: The Annotated Edition by Dennis E. Hensley, Ph.D. Upland, IN: Taylor University Press, 2006. This edition is pictured above.